Follow the latest development news on my discord server! Not sure if this is even possible to request, but would there be a way to thin out the leaves? They're so thick they block all light (visibly, anyway) and I can't tell where stray tree trunks are inside. 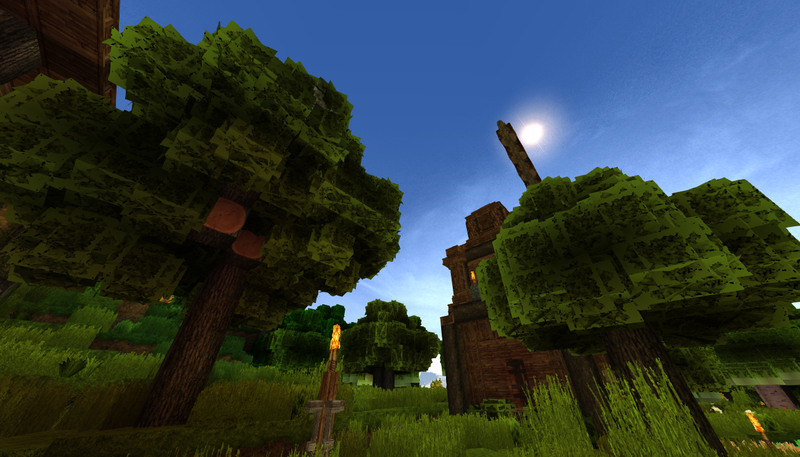 I know there's also a way to swap out certain textures in a pack, so maybe I'll go that route instead. 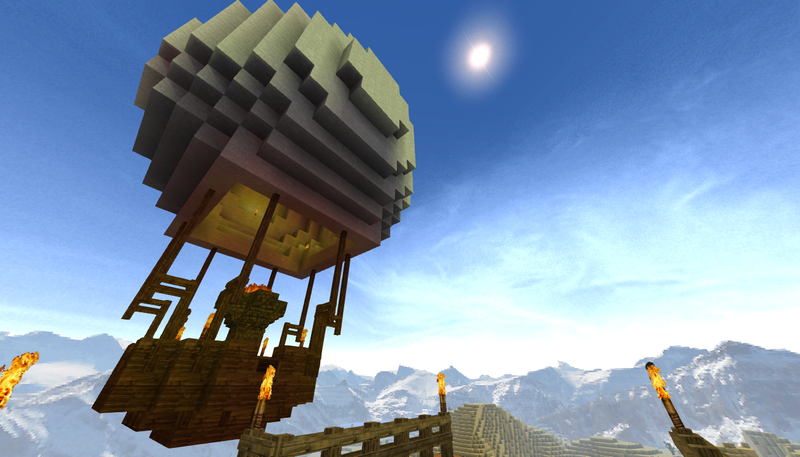 There seems to be a compatibility problem with shaders. 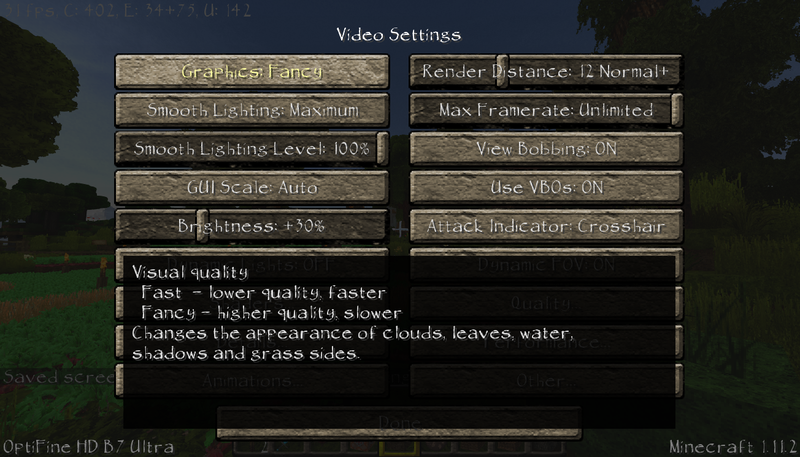 Having LBPR and any shader it shows a mixing texture of water source and any other block. Can you, please, send some other screenshots? I don't seem to find the problem on this one. And does this only appear with LBPR or also with other packs? I had this problem as well, and basically I just messed around in Optifine turning things on and off until something changed. The only thing that made a difference was turning off Connected Textures. With those on, dirt and sand get this shimmering reflective texture like water, very glitchy. Once it's off, it goes away. 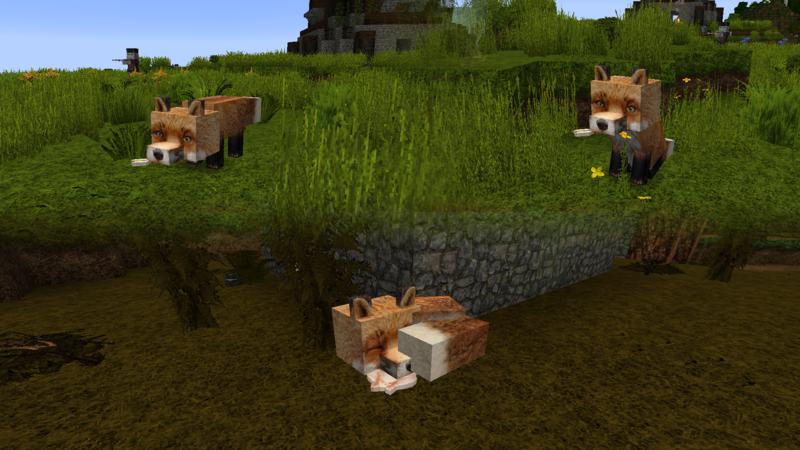 Unfortunately that means that other connected textures are off too. Bad news. My laptop is dying and I don't have financial resources to get a new one. You may consider a donation, if you want to support the project. But it's completely optional. I'll try to spare some money to buy a new laptop, but if I don't do it before my laptop dies completely, the project will be at least frozen for a while or will also die. Unfortunately. The pack is backed up for if things get worse. Hi, I know it has been asked before but when will you add the llama textures? weeks? a month? I really want to play with your pack, but it just annoys me that 99% of minecraft look beautiful and perfekt and this llama doesnt. And there is a little "glitch" on the chest. please add llama textures PLEASE! 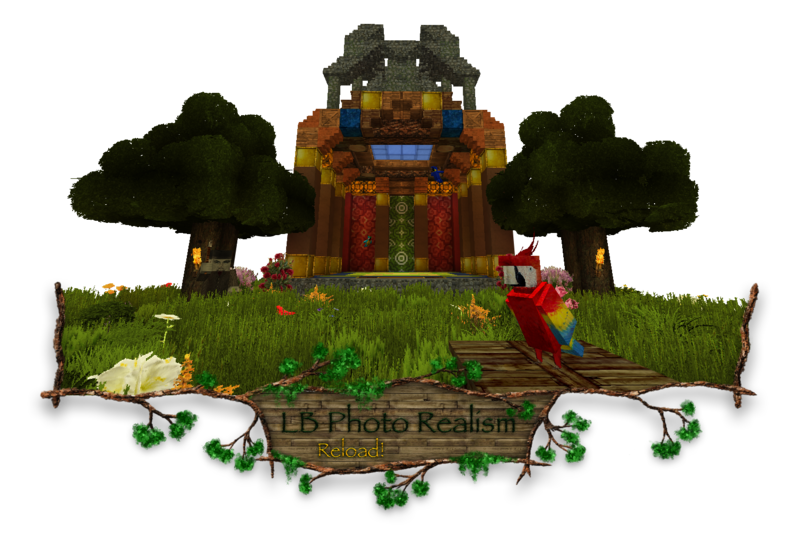 The reason for missing llama textures is that the model of llamas is very different from the real life body structure of llamas. Therefore is very difficult to make the textures. And the second reason: there are not many good photos of llamas on the internet that I could use. So, please, wait. I want to make high quality textures. And it takes time. Thank you. Hi! First off your pack is awesome. UNFORTUNATELY, I can not see my chests when I place two next two each other. If I place one it shows up fine, but when I place the second one they both become transparent :/ Therefor I have to remember where I placed my chests which can be a pain. I was wondering if you were aware of this or if it is just me. And if so, is there a possible fix? That being said, I still use your pack, and just place a torch or something in front of where the chests would be so I can locate them lol. So knowing that, please also know I think everything else is outstanding and is the only pack I've used for the last several years. Hi there. I'm 95% sure he's running out of VRAM. It was a common problem on older graphics cards when they ran out of VRAM they would just dump a plain color. Unfortunately, updating the graphics drivers is unlikely to fix it because it is a hardware problem. Newer cards will allocate regular RAM when they run out of memory, which is slower but does not break the render. ... Unless said RAM allocation goes into the pagefile, which is too slow on conventional HDDs to load properly in many games. But this would only happen if he ran out of both VRAM and RAM and had a HDD which is a fairly rare occurance nowadays. It may be possible to fix this with very low settings on Optifine, which could prevent the memory from being overused in the first place. As you can see here, there is no problem on my PC. Hello! I'm trying to solve the reason why when I play with this resource pack(which I love!! 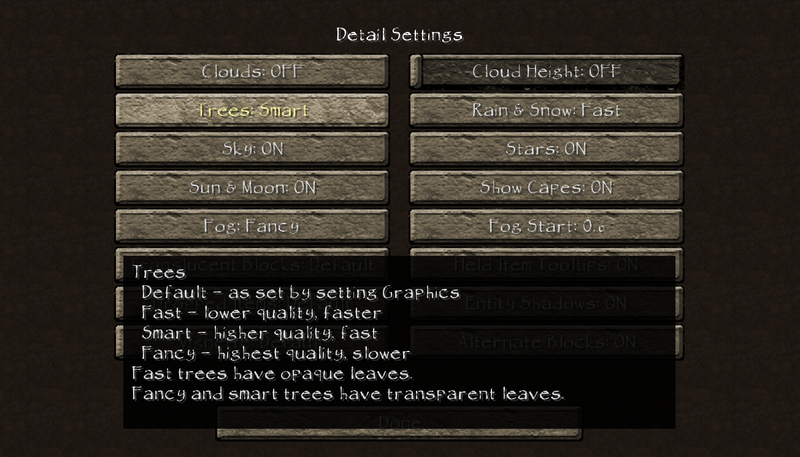 ), modded tree textures don't work. 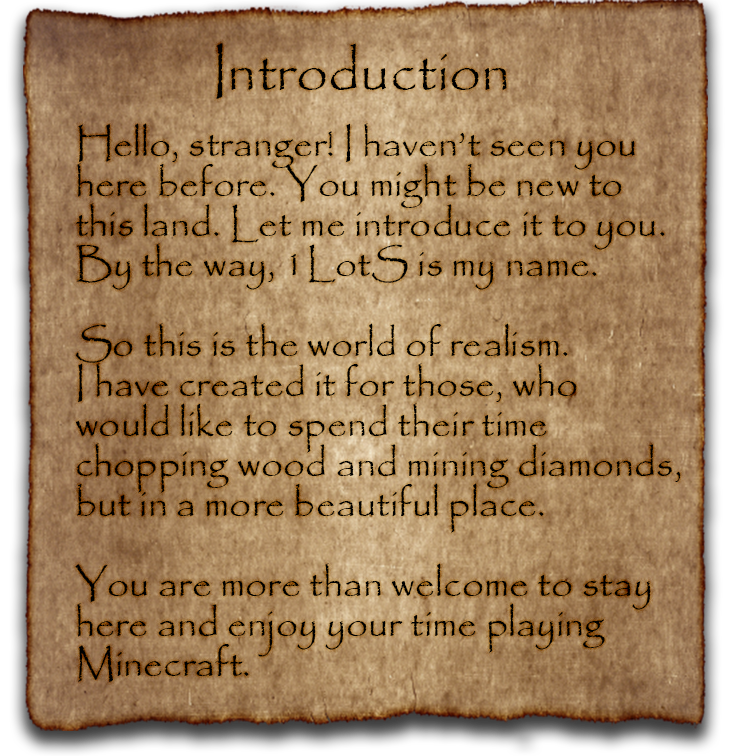 Natura, Biomes o Plenty, etc . The leaves turn red, like they are missing or ?? Is there a connected textures issue or (?) that happens when this resource pack is used?